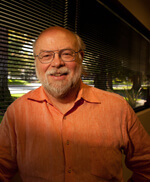 James Gosling, the father of the Java Programming language, will be sitting in the featured startup seat during the Drone Swarms: The Buzz of the Future event next week. With a long history developing some of the most significant advances in computer science, Gosling has a reputation as a technology innovator. Since 2011, Gosling’s efforts have been focused on the sea as Chief Software Architect for Liquid Robotics in Sunnyvale. Using autonomous, water-borne robots, Liquid Robotics has been transmitting data collected through ocean observation to research facilities on land. The potential for the data collected is limitless and can be used to solve critical problems in defense, oil and gas exploration, commercial applications, and scientific endeavors. Gosling will be sharing the Liquid Robotics story with the audience. The VLAB executive team welcomes volunteers to join us at 7:00 pm on the first Tuesday of the month at WilmerHale, 950 Page Mill Road, Palo Alto for our monthly pitch and planning meeting. Do you have an idea for an event that you would like to pitch? Come join us!